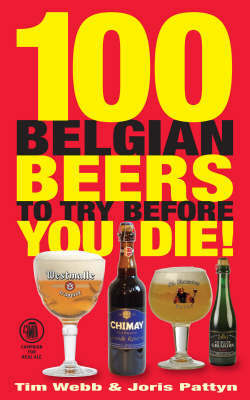 "100 Belgian Beers to Try Before You Die!" showcases 100 of the best Belgian beers. Organised by brewery, each entry includes a history of the brewery, tasting notes for the beers, visitor information and the authors' verdict. Written by internationally known beer writers Tim Webb and Joris Pattyn and highly illustrated throughout, the book encourages both connoisseurs and newcomers to Belgian beer to sample them for themselves.It covers all Belgian Beers - Hilde Deweer, pub.A media campaign will support the launch.